Political songwriters can fall into the trap of being preachy, but not Michael Franti. In a career spanning over 20 years, the former frontman of The Beatnigs, Disposable Heroes of Hiphoprisy and latterly Spearhead, has always struck the right balance between personal and political. That blend is very much in evidence in Spearhead's most recent and most commercially successful album, All Rebel Rockers, recorded in Jamaica with legendary rhythm team Sly and Robbie. 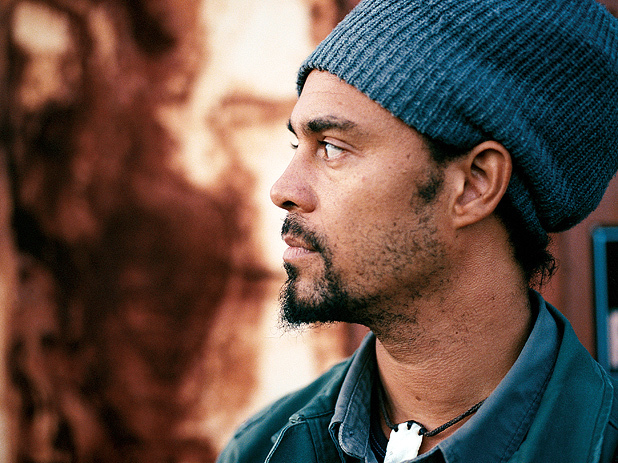 Throughout his career Franti has combined campaigning on various issues with his music making. He's worked for the World Health Organisation and the UN, lobbied Congress on climate change and is an ambassador for the humanitarian organisation Care. In 2006 he made I Know I'm Not Alone, a documentary highlighting the plight of those caught in the crossfire in Iraq, Israel and the Gaza Strip. It's no surprise, then, to find him thrilled by the election of Barack Obama, something which was for him as much an emotional event as a political one. Speaking to Franti is an uplifting experience. The man exudes good vibes, something evident in both his music and his exceptional documentary. As he talks about the power of positive thinking, it's hard not to get caught up with enthusiasm, likewise when he talks about where his music is heading in the future. The Arches, Glasgow, Tue 30 Jun.